Listed below are the latest articles and blogs posted on the Probe Ministries web site. We have over 1800 articles, blogs and answers to questions. So, if what you are looking for is not on this page, use the search magnifying glass icon at the upper right side of this page and type or tap what you are looking for. You will probably find something on the topic you are interested in exploring. Sue Bohlin suggests 4 ways the resurrection of Jesus can make a difference in the lives of believers today. Sue Bohlin suggests a way that girls and women can grow beyond stereotypical feminine behavior to glorify God as godly fighters and protectors. Sue Bohlin explains what’s going on in the fight against Conversion Therapy. Sue Bohlin suggests how to respond biblically to stories going viral: by remembering there’s always more to the story, and taking time before judging or commenting. Dr. Michael Gleghorn makes a case for why Christian doctrine and apologetics are important for spiritual growth and maturity. Sue Bohlin suggests that our motives are what determines whether we’re celebrating Christmas right or not. Probe radio producer Steven Davis provides spiritual truth in 5 Christmas carols backed by new music written and performed by his son Jon Clive Davis. Sue Bohlin’s experiences with two surgeries and recoveries in the past several months connect to important spiritual truths. Steve Cable examines the religious beliefs of American Christians based on Pew Research, discovering that the number of those holding a biblical worldview continues to decline. 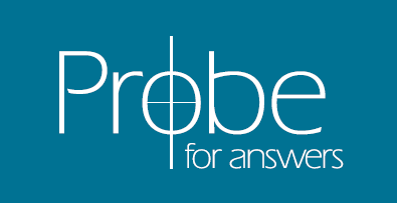 Probe answers an email question so old it shows up in the Bible. Byron Barlowe reviews the movie Gosnell. Probe Ministries hosted a presentation by Kerby Anderson on “Social Media, You and Your Family” on October 16, 2018 at the Hope Center in Plano, Texas. This page features a link to the recorded message as well as Kerby’s book which people at the presentation received. Steve Cable examines the data concerning American Christians’ beliefs about pluralism, the belief that all religions are true and valid ways to know about God, the world, and salvation. Steve Cable examines the data concerning young American adults’ religious patterns, discovering that “the Nones” will soon constitute the majority of emerging adults. Kerby Anderson examines four famous intellectuals—Rousseau, Marx, Russell and Sartre, looking for reasons they are worth following and not finding much. Sue Bohlin blogs about handling her fears of upcoming major surgery by trusting God and the power of others’ prayers. Sue Bohlin blogs about how Fred Rogers demonstrated the heart of his heavenly Father to millions of TV watchers through his program Mister Rogers’ Neighborhood. Over three-fourths of young adults claiming no religious affilation (Nones) were raised in homes of some kind of faith. Steve Cable examines the data leading to this alarming fact. Account of Dr. Ray Bohlin’s public debate and ministry, along with Probe colleague Todd Kappelman, in Belarus in March 3018. Sue Bohlin explains the benefits of sending high school students to Probe’s week-long Mind Games camp to build their faith and confidence that Christianity is true. Sue Bohlin reflects on what life is like with a disability that has escalated to where she’s not able to walk anymore. Steve Cable determines that “Nothing in Particulars” are not actually practicing Christians who just don’t want to affiliate with a particular denomination. Steve Cable examines four areas of recent scientific discovery that undermine evolution.